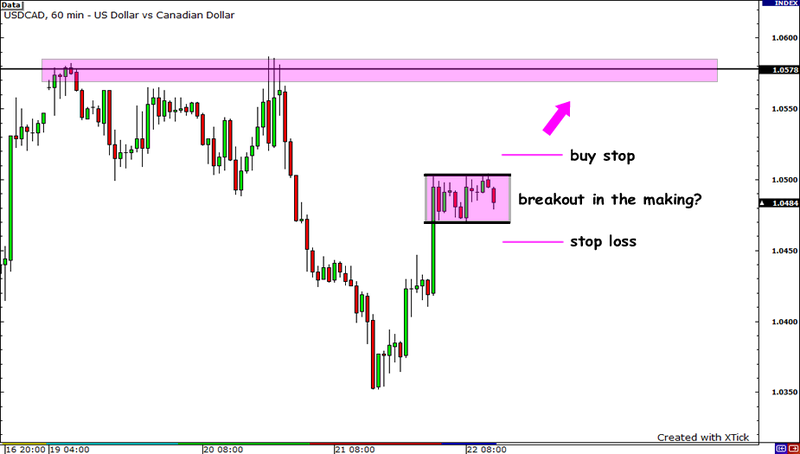 Hmm, it looks like USDCAD did breakout… but to the downside! Despite Canada’s weaker than expected retail sales figures, the Loonie managed to catch some gains as risk appetite took over the markets. Apparently, good earnings and economic reports from Europe and the US stoked investors’ appetite for higher-yielding currencies. Oh well, at least I set my buy entry order far enough and I didn’t catch a fake-out! But I do hope I’m able to catch a good trade next week. Have a happy weekend forex folks! 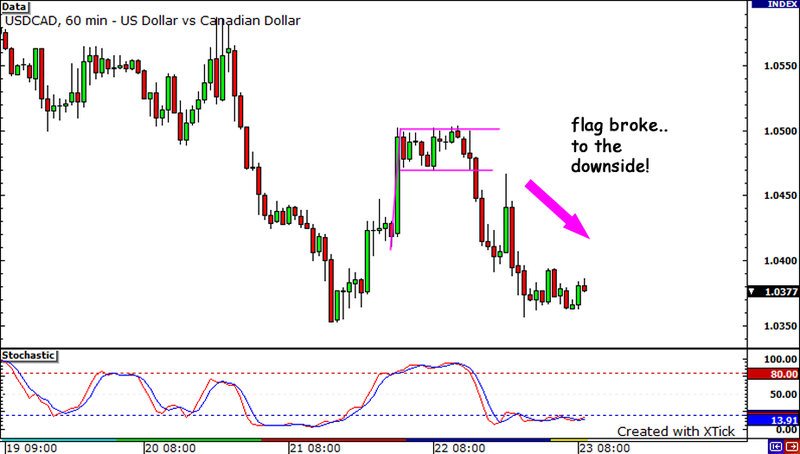 Looking at the 1-hour chart of USDCAD, it seems that the pair has consolidated into a bullish flag. As the name suggests, the bullish flag chart patterns signals that traders are gearing for a strong move up. I looked at my trusty economic calendar and noticed that Canada is set to release its retail sales figures later today. Hmm, this event could provide the catalyst for a breakout. If the headline and core figure fall short of the expected 0.5% increase, traders could dump the Loonie in favor of the Greenback. After all, risk aversion seems to be prowling the markets lately and traders are prone to run to the safe-havens whenever bad news comes out. Besides, with the release of the EU stress test results just around the corner, I doubt that traders would pounce on riskier assets anytime soon. Right now, the 1.0500 handle seems to be a strong resistance point. I’m looking for a break to the top, so I’ve set my orders at 1.0510. I believe we could see some wacky moves today, so I’ve put my stop below the consolidation, at 1.0460, giving me a 50 pip stop. I’ll be aiming for two targets so I’ll have two positions on this trade. My first target will be previous highs around 1.560. Then, I’ll be shoot for previous highs from earlier this month at 1.0650. Long USDCAD @ 1.0510, stop at 1.0460, take profit at 1.0560 an 1.0650. Given all the choppiness in the markets recently, I’ll be playing this a little tight – I don’t wanna be giving my pip candy away! Once I am up 30 pips, I will MOVE MY STOP TO BREAKEVEN. I’m not going to take any chances that this might be a fake out!